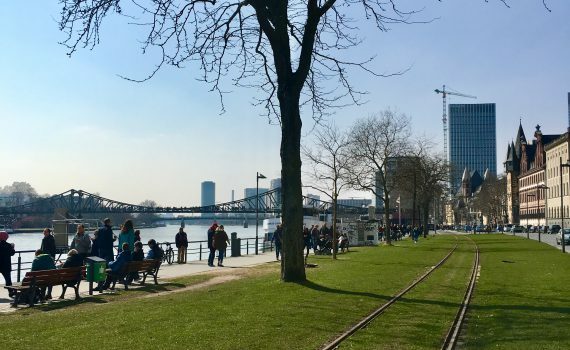 Nature-based solutions, also known as green or natural infrastructure, and their associated ecosystem services play a valuable role in addressing climate change at the city scale with implications for broader sustainability. Among the greatest assets of our natural capital is its multi-functionality to deliver social, economic, and ecological services that underpin the pillars of sustainability and sustain human life on Earth. These services known as ecosystem services, i.e. : nature’s services, provide the fundamental resources, such as food, water, air, habitat, and raw materials, for human development and growth as well as biosphere stability and regeneration. The Intergovernmental Science-Policy Platform on Biodiversity and Ecosystem Services (IPBES) during its 2017 sessions expanded upon the 2005 Millennium Ecosystem Assessment’s conceptual framework to include the notion of nature’s contributions to people (NCP). The concept sees culture and context as key determinants of peoples’ engagement with and valuation of nature, while heightening the importance of indigenous knowledge and broad disciplinary and stakeholder participation. A more inclusive perspective of nature’s interactions as well as its functions will hopefully advance and mainstream green infrastructure (GI) in policy decision-making and investments. At the city scale, urban ecosystem services are becoming increasingly important in contributing to climate action, e.g. : ecosystem-based adaptation, and quality of life, while cultivating long term community resilience and fostering enhanced environmental justice and equity. Among the most challenging to quantify and traditionally less understood by decision-makers are cultural ecosystems services that provide personal inspiration and spirituality, aesthetics, education, recreation, mental and physical health, and an innate potential to nurture environmental stewardship and nudge human behaviors towards climate action. This aim warrants researchers and policy-makers to promote the new framing not solely as nature’s contributions to people but also for peoples’ responsibilities as custodians of nature for mutually reinforcing benefits, sustained human well-being, and climate stability. Cities are at the forefront of social-ecological engagements and generate significant stress on both systems. Global trajectories of population growth and urbanization, with currently 55% of the world’s population living in cities, are expected to increase in the next 30 years by 2.4 billion people, resulting in a global urban population of approximately 66% by 2050. The consumption of natural resources used by cities will increase from 40 billion tons in 2010 to 90 billion tons by 2050, an increase of 125%, if continued on a business-as-usual trajectory. Long overdue is the need for government policies and investments to mainstream resource-efficient urban infrastructure coupled with the decarbonization of the electricity/energy sectors and strategic densification of our cities. A new public and civic priority must be the preservation of ecosystems and augmentation of nature-based solutions to reinforce climate mitigation and adaptation and promote urban sustainability and societal inclusivity. Nature-based solutions (NbS) or green infrastructure applied at varying scales, from household, building, city, to broader landscapes, provide valuable ecosystem services for climate regulation. Coastal cities can benefit from mangroves, sand dunes, and oyster beds to protect large population agglomerations, economic assets, and critical infrastructure. Mangroves contribute to the attenuation of waves and winds and therefore reduce destructive impact on the built environment, while also decreasing coastal erosion and helping build up and bind soils to mitigate sea level rise hazards. At the community level, green infrastructure practices, include rain gardens, permeable pavements, green roofs, infiltration planters, and rainwater harvesting systems that support climate adaptation by better managing stormwater to prevent urban flooding and complemented by the provision of habitat for pollinators. Street trees are particularly valuable in alleviating the urban heat island effect through the process of evapotranspiration, therefore alleviating high temperatures in central business districts with high buildings and excessive amounts of impervious surfaces. At larger scales, the preservation and restoration of natural landscapes such as forests, floodplains, and coastal wetlands are important for supporting the creation of carbon sinks for carbon dioxide removal and sequestration. Cities around the world have started to incorporate green infrastructure into their planning and development, yet the practice is far from mainstream. For instance, more programming is needed along the lines of Washington, DC StormWater Retention Trading Program to offset the city’s 43% of impervious land area. The Program incentivizes the use of GI for stormwater management by allowing real estate developers to generate and/or sell Stormwater Retention Credits (SRCs) to earn revenue for projects that reduce harmful runoff such as installing green roofs or by removing impermeable surfaces. A review of the city’s five million square feet (~ 58 acres (23.4 hectares) of GI documented that the average green roof retained 15 gallons (56.7 liters) of stormwater per one square foot (0.09 square meter) of coverage or 50%–75% of rainfall on an annual basis. Partnerships between energy utilities such as Pepco and the Arbor Day Foundation that provide free trees to households to support energy conservation and reduce energy bills can be instrumental in educating societies about the value of nature-based solutions to support climate action. It behooves governments at all levels to create the enabling policies, fiscal incentives, and market mechanisms to accelerate investment in green infrastructure that in parallel reinforce measures towards meeting national climate targets. With the estimated trillions of dollars needed for resilient infrastructure, nature-based solutions provide significant cost efficiencies compared to traditional grey infrastructure both from a capital investment and from an operational perspective. Moreover, the decommissioning of grey infrastructure is costly and energy intensive in what often is the removal of tons of concrete. NbS’ efficiencies and efficacy are further amplified when considering their ability to generate co-benefits, as known in the climate discussions, exemplifying the multi-functionality of nature’s services to provide socio-economic benefits, including job creation, social cohesion and public health, in addition to climate regulation services. Mangroves have proven to provide valuable protection to the built environment as well as generate important economic co-benefits for communities through increased marine life to support livelihoods as in Vietnam and South Africa and other developing countries. Strengthening resilience warrants continuous learning through stakeholder engagement, periodic monitoring and calibration of technological applications, and prioritization of investments that allow urban systems to absorb climatic shocks and adapt to new conditions. Simultaneously, communities that incorporate NbS into planning processes and its built environment, while preserving local ecosystems, are better positioned to buffer against disasters and limit recovery costs through natural regeneration in what has recently been embraced as Ecosystem-based Disaster Risk Reduction (Eco-DRR). In all cases, it is important to budget for the maintenance and management of NbS as well as for the monitoring, reporting, and verification (MRV) for evidence-based documentation to advance understanding of their value across governments and institutions and mainstream their practices across disciplines. Learning from nature’s design, processes and functions (known as the Science of Biomimicry) can further augment our possibilities to combat climate change and lead to technological innovations for intensive carbon sequestration; one such example is the use of biochar, whereby burnt biomass is added to soils to augment CO2 sequestration. Yet, it is critical to recognize that technology alone is not the panacea to our climate dilemma. People and societal behaviors, lifestyles, and consumption choices are instrumental in ameliorating our climate prognosis or alternatively accelerating its detrimental impacts. NbS may be influential in curbing anthropogenic climate drivers by catalyzing environmental stewardship and biophilia in humans through the permeation of nature in our cities buttressed by a socio-political-economic context that creates the low-carbon choice architecture, i.e. : built environment and market options and supporting service infrastructure that cultivates social norms and guides behaviors towards climate action.